It is because the philosophy stands for something. We like to have staff who, like us, prefer to stand at the edges rather than being just one among the rest. 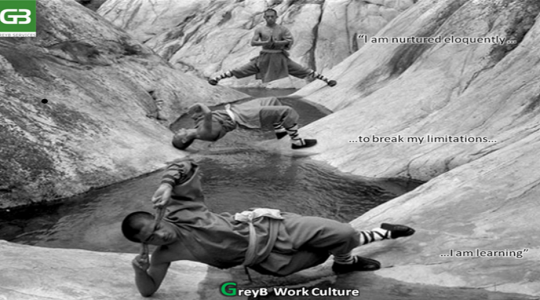 If a client wants a “GreyB-type” analysis, they have to call GreyB for it. GreyB will fail if it does average work for its clients just to make a living – the same goes for each individual within GreyB. Therefore, we follow this philosophy very religiously – right from the stage of hiring till delivering a project. It is scary, but we take pride in the support that we receive from our clients who also have a similar philosophy and live by it. reyB was not originally created to be just another patent research company. It was built with a goal to bring together a set of people who want to grow faster than the industry. A set of people who are hungry to change the things that slow them down. We wanted to use this power – the power to grow, the power to create a mark, the power to change things – in the innovative domain of patent research. We want everyone who wants to work with GreyB to understand what this mission means to us, how we make decisions and why we do the things we do. At GreyB, we are inspired by the technologies that are going to change the future. Discussions about such technologies – virtual reality, mobile communication and LTE, which will transform the way we interact in the future – bring us further together. Today, we have reached a point where in the outside world, people work because they have to work, not to achieve or grow. At GreyB, we live every day to take more experiences and just do things to bring some change in the way things might have been traditionally done. This makes a huge difference in how we work internally at GreyB. Good enough is not good enough, because today, everything is good enough. We want to raise the expectation of our clients. We didn’t want them to be satisfied, we wanted them to be blown away. We want our clients to be remarkable in front of their clients. This is also our Mission, to make them appear the best. 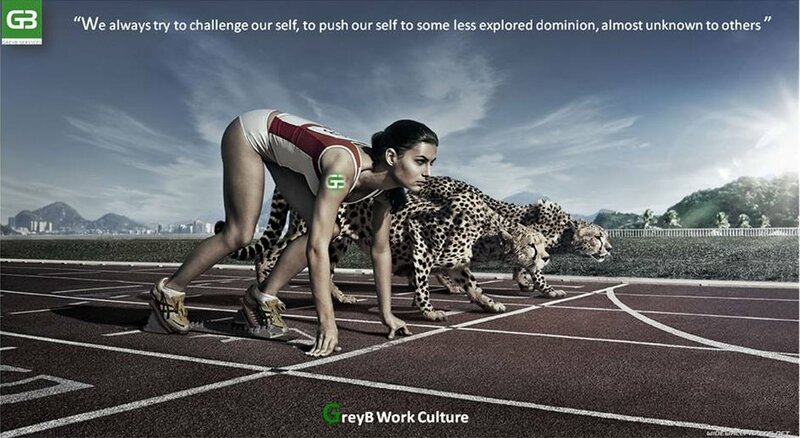 At GreyB, everyone has the voice and freedom to do things the way they want. We want to excel in a world where innovation is a currency. We want to see our clients use that hidden prior art, hard to find insights to win cases, lead their IP department, give strong advice to R&D teams. We believe this is the most important aspect that we need to focus on. People execute projects and we want to give results. The difference lies just in the attitude of how one sees the things. This mission may sound big but it starts small. We believe that getting the best people and advanced technology together will get us closer to building better products and services. By giving our staff the power to innovate, we believe we are going to see more innovative voices heard on a different scale from what has historically been possible. These ideas will increase in number and volume. They cannot be ignored. Over time, we will see this with kids, when we will see our young ones come up with innovative ideas. Simply put: We don’t work to build money, we make money to build better services. In old days, if you did a patent search using all the traditional strategies in a reliable way, you would be fine. Being technically good was a good thing. Decent quality and being polite was considered okay. You cannot be normal. You cannot be average. Our Vision is that we want to see every company to be innovating in their own territory. We believe this is the most important problem that we need to focus on. Innovation is the most basic thing in our society. We cannot live without innovation. The day innovation stops, this world will no longer be the same. By focusing on our mission and building great services, we believe we will create most value for our clients over the long term. We don’t wake up in the morning with a primary goal of making money, but we understand that the best way to achieve our mission is to build a strong and valuable company. It’s obvious, and we say this to a lot of people, that there are no strategies to reach to the result, and, at the same time, there are hundreds of strategies. We figured out that its not the strategies that lead you to the result, it’s the thought process.